Celtic knotwork with interwoven creatures decorate the side of the handle. 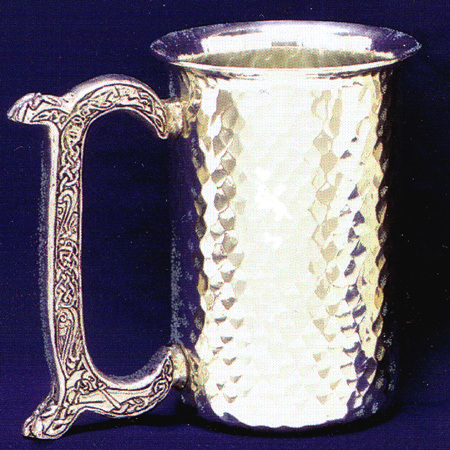 This Pewter Stein holds 22 ounces when filled to the brim which is 3 3/4 inches across. We make it by hand from lead-free pewter so it's suitable for all cool liquids.